It is a truly magical day when your child gets married, and you will want to look your best. You know what you like, whether it is an informal chiffon gown or classic silk dress and jacket. Our collections offer this variety, in sizes 0-36 and numerous colours so that you can compliment the wedding theme. 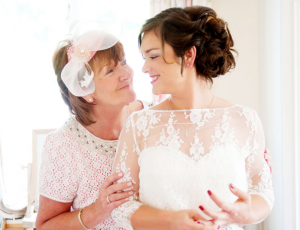 Top Trends for 2013 – Mother of the Wedding should always be classic, elegant and timeless. Each year, Designers create new styles that incorporate a new modern twist, such as pleating, ruffles, or floral embellishments. Lace is hot at the moment, so many styles will include an element of lace. Remember, you need to look amazing too, as you will be in many of the photographs, and the point of contact for many of friends and relatives on the day – and how often does your child get married and give you the excuse to treat yourself to a fabulous outift! Please refer to the About Us pages for more information about Mystia.